Firecrackers all night and all libraries being closed here are two good indicators to a nerd like me that Lunar New Year has come again, and that means that it's the beginning of a lunar month and new Moon as seen from Earth. 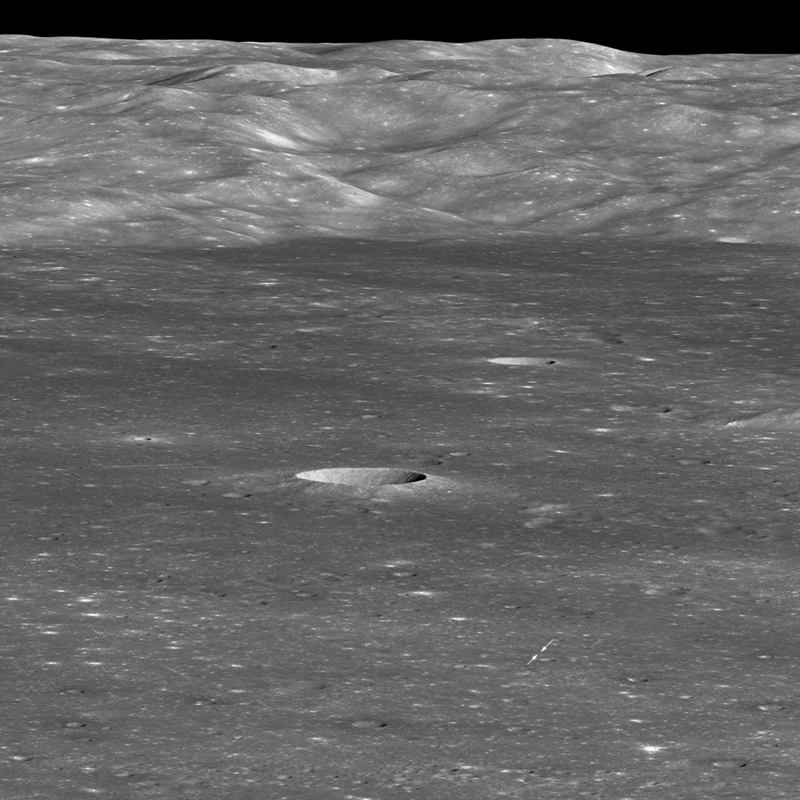 That also means that the Chinese lander Chang'e-4 and rover Yutu-2 should be in sunlight since they are on the far side of the Moon. What phases of the Moon as seen from Earth correspond to times of sunrise and sunset for those two? Chang'e-4 is in Von Kármán crater (also here) at about 44.8° South, 175.9° East. So Chang'e-4 and Yutu-2 sit almost diametrically opposed to the Earth longitude-wise, and so sunset on the Moon's prime meridian is close to sunrise for the pair, and vice-verse. 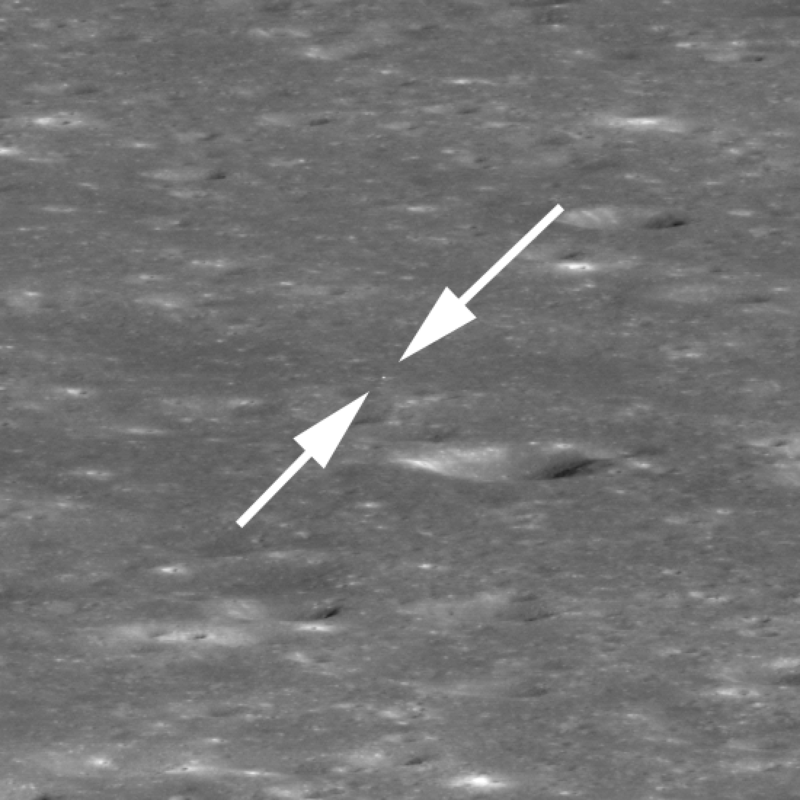 We know where Chang'e-4 landed because it returned video of it's own landing. From How did Chang'e-4 hover, rotate, and then descend so gracefully? (Video). Area around lander enlarged by a factor of two relative to the native pixel scale (see zoomify below), bright speck between two arrows is the lander. The large crater in the center (just right and below arrows) is about 440 meters (1440 feet) across. LROC NAC M1303521387LR [NASA/GSFC/Arizona State University].